2, Support a variety of Internet access like 3G Internet access, WIFI connection,USB/Android phone connections, while providing WIFI hotspot for other mobile devices Internet access in the vehicle. 3, Many Android application program can be downloaded. 6, support Ipod,touch,iphone4,iphone4S and many other devices connection. 8,Support audio format: MP3, MP2, ACC, OGG, RA, WAV, FLAC, APE etc. 9,Support media format: H.264/MPEG-4, RMVB, AVI, WMV, 3GP, MP4, MOV, MPG, VOB etc. 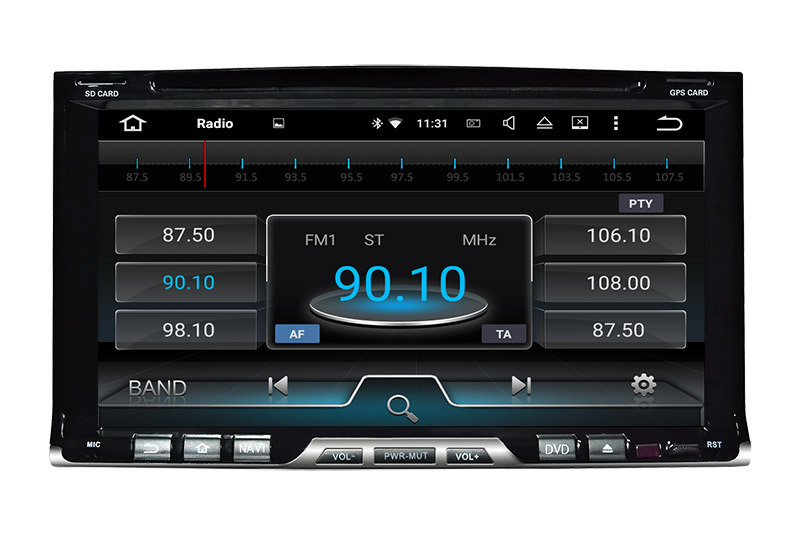 Looking for ideal Car Multimedia Player with Gps Manufacturer & supplier ? We have a wide selection at great prices to help you get creative. All the Two Din Universal are quality guaranteed. We are China Origin Factory of Universal Navigation Multimedia. If you have any question, please feel free to contact us.